……we’ve been at this backyard project for awhile. 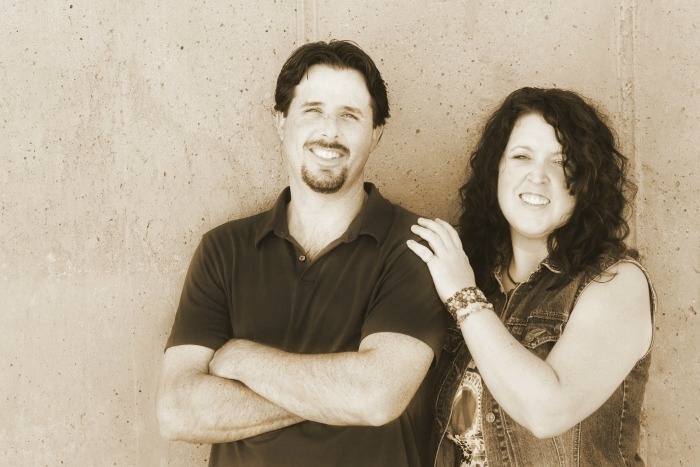 You know…..this project that was really suppose to be “easy”. In all truth, it probably would be easy if time and money were abundant, but they are not. 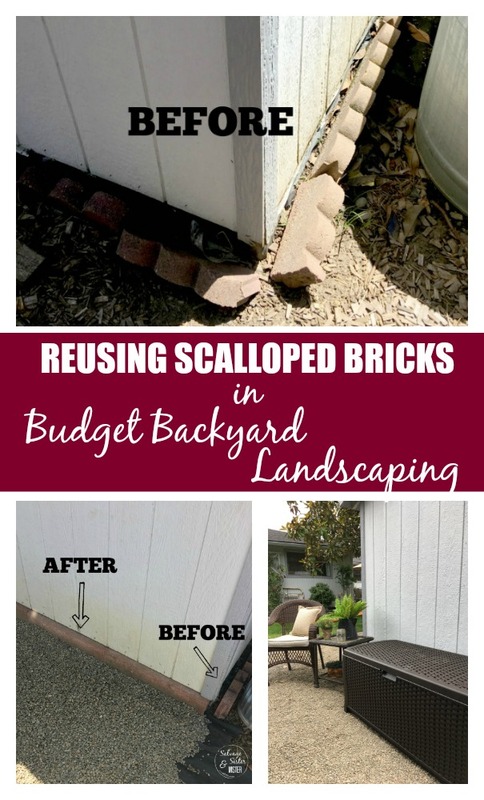 We have been reusing scalloped bricks, that were abundant, all over our backyard…..you can see examples HERE and HERE. Now, we have taken to changing them around the bottom edge of our shed to create a cleaner look. 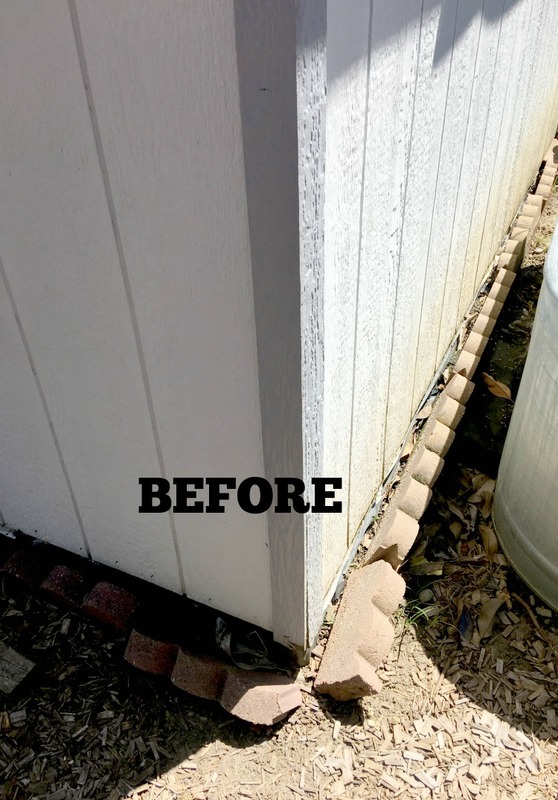 As we shared in the previous posts, the way we reuse scalloped bricks is to do the hokey pokey and turn them around…. The area looks so much better now AND it was free. We added some pea gravel, which is very inexpensive if you go to a rock place and haul it yourself. The bag stuff gets very expensive really quick like. 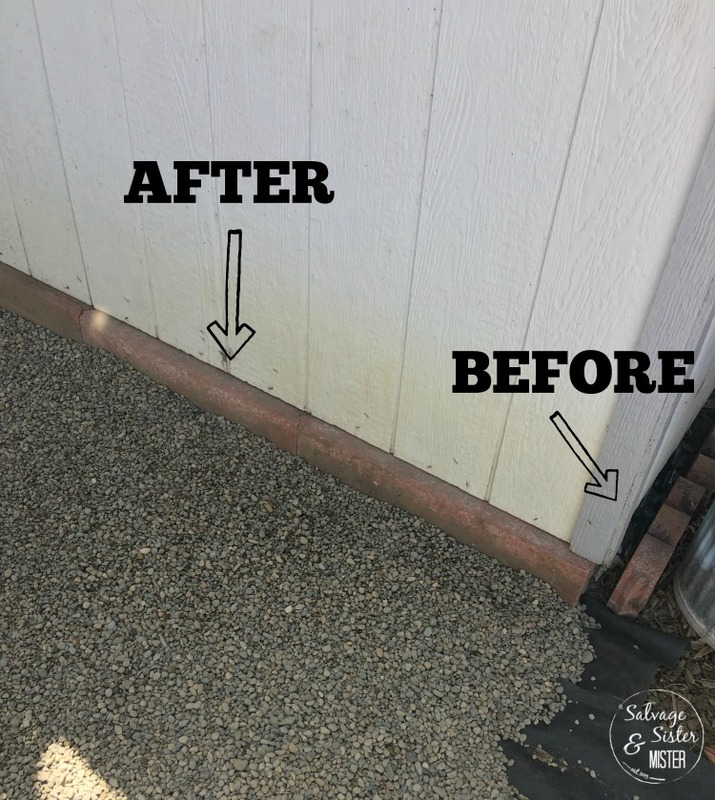 One trailer of pea gravel cost less than $25 for 1 yard (a trailer full). *We use affiliate links, at no additional cost to you. This will assist you in finding the same, or similar items used, while we may get a few cents to keep the content free. We do receive product for some reviews. We only collaborate with companies that we feel provide you value. You can read our full disclosure policy here. This area is looking so much better. 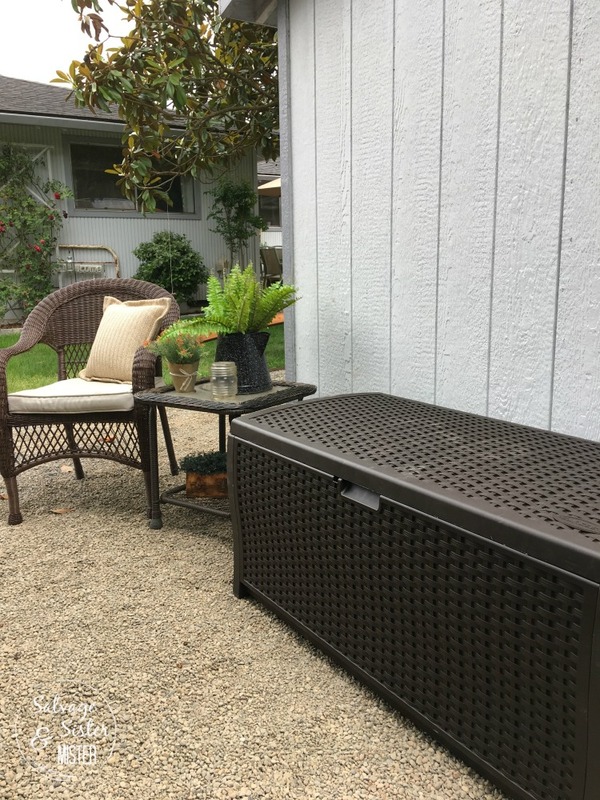 We used Wikibuy to find the best buy on a Deck Box, to protect our cushions when not in use. If you aren’t familiar with Wikibuy, they are a browser extension to find the lowest prices while you shop on Amazon. We are testing paint colors. This will be our house paint color as well. Wanna vote for which one you like? Add your preference in the comments. Can you see the difference? The bottom one is a bit darker. 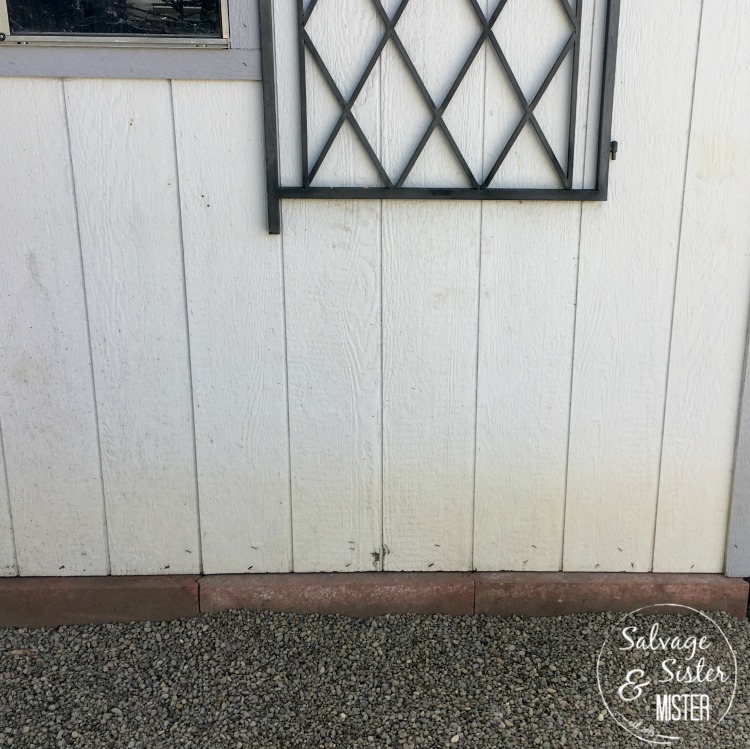 Stay tuned to see if your color won AND to see if we are reusing scalloped bricks anywhere else in this backyard project. What an ingenious idea!! Bet you saved a tonne of money by doing it this way!! I love the gravel also that you added! Can’t wait to see how your shed turns out! Thank you Sam! It definitely saved a lot of money!!! Great job. 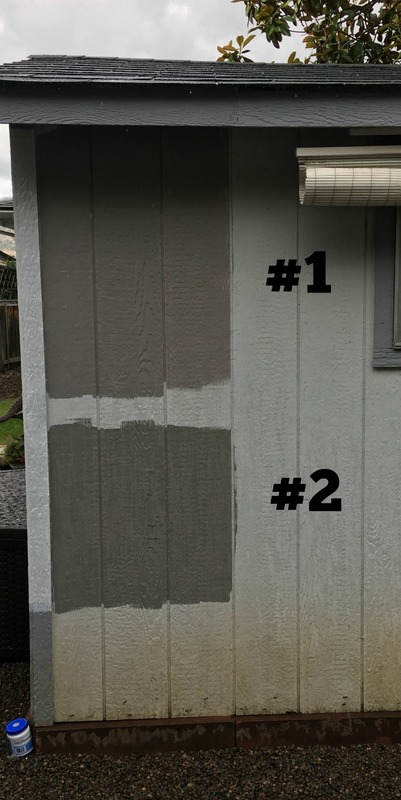 Looking forward to seeing the new paint color you choose.